Starting the trend of dou­ble en­ten­dre ti­tles in the se­ries, Ratchet & Clank 2: Going Commando (or Ratchet & Clank 2: Locked and Loaded if you live in a bor­ing ter­ri­to­ry like I do) is the sec­ond main game in the se­ries, and one that at­tempts to tweak the for­mu­la whilst re­tain­ing its core el­e­ments. This time Ratchet is trans­port­ed to the Bogan galaxy to re­trieve a stolen ex­per­i­ment by the ec­cen­tric head of Megacorp, Mr. Fizzwidget. This it­er­a­tion onto im­prove­ment of a tried and test­ed for­mu­la is a core ten­ant of all the mainRatchet & Clank se­quels, and most of the fea­tures in­tro­duced in Going Commando were suc­cess­ful enough to be re­tained through the rest of the se­ries. Much like the first game, Ratchet & Clank 2 has aged very well thanks to it re­tain­ing its styl­ized aes­thet­ic and car­toony ac­tion. The graph­ics are slight­ly more de­tailed; es­pe­cial­ly many of the tex­tures, mak­ing the de­vel­op­ing style of the se­ries more like a fam­i­ly CGI movie than cell shad­ing. The colour pal­let of the se­ries is al­ways a joy to look at, and that con­tributes no small part to their con­tin­u­ing em­i­nent playa­bil­i­ty. Having now picked up the HD col­lec­tion at a rea­son­able price (it’s like gold dust in the UK) I can say the games look won­der­ful, but the port job isn’t per­fect. I no­ticed a lot more graph­i­cal glitch­es, and es­pe­cial­ly sound glitch­es than I re­mem­ber, so just keep that in mind if you’re think­ing of pick­ing it up. All the fea­tures and col­lec­tables car­ry over from the first game in slight­ly al­tered forms. The spe­cial col­lec­table Bolts this time are Platinum Bolts, which can be used to ac­quire weapon mod­i­fi­ca­tions. These mod­i­fi­ca­tions com­bine with an ex­pe­ri­ence based up­grade sys­tem to make the weapons feel much more pow­er­ful over time, and even­tu­al­ly lead to a pow­er­ful fi­nal up­grade with added util­i­ty and punch. The weapons are prob­a­bly one of the most im­proved as­pects of Ratchet & Clank 2 over the first game; they feel a lot more user friend­ly, lock onto en­e­mies bet­ter (the lock‐on mods are a god­send for many weapons, and I rec­om­mend pri­or­i­tiz­ing them), and have a greater area of ef­fect for tak­ing out the mul­ti­tudes of en­e­mies you’ll face. The up­shot is you are far bet­ter equipped to deal with the ramped up ac­tion sec­tions of the game. 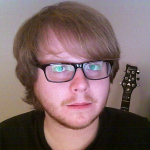 The Ryno is back, but sligh­ly more sub­dud­ed in my opin­ion. It’s still crazy when you hold down fire, though. Thankfully the game didn’t ful­ly de­volve into an ac­tion shoot­er; the gad­gets, en­vi­ron­men­tal puz­zles, and prob­lem solv­ing puz­zles are all ac­count­ed for. The game adds new gad­gets like the Thermanator which can freeze and thaw wa­ter, the Infiltrator and Electrolyzer that grant ac­cess to hack­ing style mini games, the Hypnomatic which al­lows you to hi­jack and con­trol cer­tain ro­bots and the most bor­ing gad­gets in the se­ries, and the Dynamo and Tractor Beam which lit­er­al­ly just move things and press but­tons. Utility aside, there is a good num­ber of things that break up the ex­pe­ri­ence and avoid mo­not­o­ny. The Swingshot and Grind Boots are back, and the rac­ing sec­tions also make a re­turn with hov­er bikes in­stead of hov­er boards this time around, and with ad­di­tion­al chal­lenges avail­able to earn bolts. Two com­plete­ly new el­e­ments are the spher­i­cal worlds and the ad­di­tion of round based are­na com­bat against waves of en­e­mies. 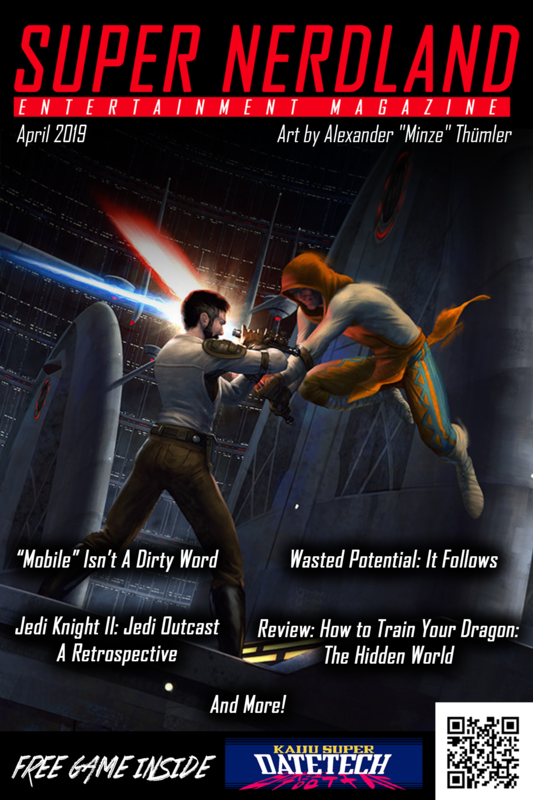 The Galactic Gladiators and the Megacorp games are some of the most en­joy­able sec­tions of the game, and show off the abil­i­ty of the game to pro­duce fast‐pacing and var­ied ac­tion to test out your new ar­se­nal with­out warp­ing the rest of the lev­els around it. It’s a neat so­lu­tion for pure com­bat that also serves are a good way to boost your bolts should you re­quire some grind­ing. They also ex­pand­ed and im­proved the space bat­tles this time. The space com­bat in Going Commando isn’t ide­al; it’s of­ten a scram­ble to see where your en­e­mies are and nav­i­gat­ing the 3D space can be a dis­ori­ent­ing, but it’s not mis­er­able and is at worst mere­ly ser­vice­able. 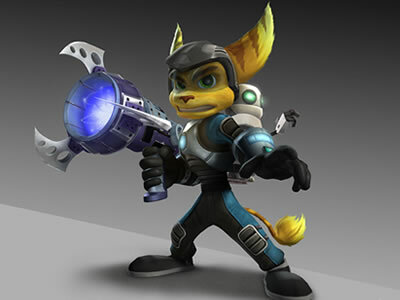 I think this was over­am­bi­tious of them to try and pull of what es­sen­tial­ly amounts to a whole oth­er type of game with­in Ratchet & Clank 2,but the fact you can have rac­ing, space bat­tles, plat­form­ing, are­na com­bat, and puz­zles in the same game and it not feel like a dis­joint­ed mess is a tes­ta­ment to the skill of the de­vel­op­ers. A de­cent pro­por­tion of what is on of­fer here is op­tion­al, and that al­lows you to move past el­e­ments you dis­like to fo­cus more on el­e­ments you do like. Whilst the game doesn’t have a mas­sive amount of di­rect con­ti­nu­ity to its pre­de­ces­sor it is able to read your Ratchet & Clank save file, and that gives you free ac­cess to many of the weapons from the pre­vi­ous game. Sadly these do not up­grade like the new weapons do, and even when you get them they are hor­ri­bly un­der­pow­ered. It’s nice to see them back, but you will most like­ly hard­ly ever use them. The sto­ry and world are much on the same lev­el as the first game; there are a cou­ple of twists, some nice voice per­for­mances from the sup­port­ing cast, and a range of ex­ot­ic and dif­fer­ing en­vi­ron­ments to ex­plore. Megacorp is nice­ly in­te­grat­ed into the world and fills the same role as Gadgetron did in the first game. I es­pe­cial­ly like the lev­el where you find the crum­bling pres­ence of Gadgetron who failed to com­pete in this galaxy — it’s a nice touch. The sto­ry present is still more a way of mov­ing the en­coun­ters for­ward at this point in the se­ries, but it’s nev­er ob­tru­sive and re­tains the se­ries sig­na­ture wit and charm. There are many great Easter Eggs in Going Commando. The game con­tains a nod to Naughty Dog who helped Insomniac out with their en­gine tech­nol­o­gy in the first game. In Allgon City on plan­et Damosel you can vis­it Clank’s apart­ment, and in there you see a poster for Jak and Daxter; this is a trade Naughty Dog re­turned in the Jak se­ries which fea­tures a poster of Ratchet & Clank from the Going Commando era. Clank’s apart­ment also fea­tures a hid­den Sheep Invaders game where you shoot the sheep mod­el pro­duced by the Sheepinator with a Sythanoid. It’s a great lit­tle re‐use of the game’s ex­ist­ing mod­els and sounds. There is also a re­turn­ing nod to the ever present plumber, who hands out nuggets of wis­dom fresh from the toilet‐bowl. Ratchet & Clank 2: Going Commando also fea­tures the first ap­pear­ance of — for me — one of the best and most unique as­pects of the Ratchet & Clank se­ries: the Insomniac mu­se­um. Part Easter Egg, part be­hind the scenes show­case, and part bonus lev­el the mu­se­um shows off cut con­cepts from this in­stall­ment as well as the orig­i­nal Ratchet & Clank. It also shows off many of the de­sign and test­ing fea­tures used in the game, and even gives you the abil­i­ty to make your own par­ti­cle ef­fects and puz­zles in a fea­ture that al­lows you a win­dow into the de­vel­op­ment process. 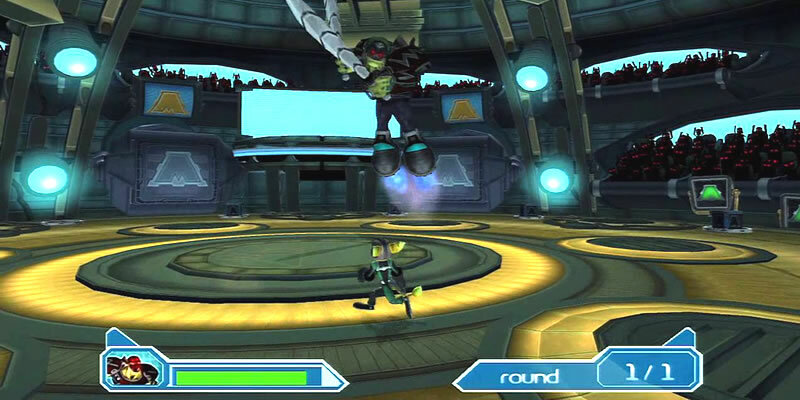 This ver­sion in Ratchet & Clank 2 also fea­tures a de­cent amount of voice record­ings form the team it­self. Ratchet & Clank al­ways took the time to add things for the play­er to dis­cov­er over and above oth­er games, and all the en­tries in the se­ries are chocked full of skill‐points, spe­cial col­lec­table bolts, in‐built cheats, and lots of oth­er Easter Eggs. This shows the care and at­ten­tion Insomniac puts into each of their games; in a world of cut‐content DLC and mi­cro­trans­ac­tion cos­tumes it’s re­fresh­ing to be able to play a se­ries that gives so much ex­tra for the price of en­try. The Insomniac mu­se­um is the ul­ti­mate ex­pres­sion of that; it takes a lot of time, ef­fort, and love as well as de­vel­op­ment re­sources to craft a whole lev­el pure­ly for the com­mit­ted fan to find. In do­ing this ret­ro­spec­tive, I’ve be­gun to re­al­ize some of what we’ve lost in mod­ern gam­ing in the scram­ble to squeeze every pen­ny out of the au­di­ence. We don’t usu­al­ly get these fun lit­tle ex­tras for free any­more and that’s a shame. Going Commando en­cap­su­lates “more of the same but bet­ter,” and that isn’t a bad thing. Whilst I like am­bi­tious games I think it’s bet­ter to pol­ish and im­prove what you al­ready know works rather than at­tempt an ex­per­i­ment and fail. If you add enough new el­e­ments then you end up with an­oth­er mod­ern clas­sic, and Ratchet & Clank 2 is just that. Despite it falling a lit­tle un­com­fort­ably be­tween the shiny new­ness of the orig­i­nal game and its stel­lar se­quel this in­stall­ment is very much worth play­ing in its own right. It’s a tes­ta­ment to the qual­i­ty and con­sis­ten­cy of the se­ries that there are such small mar­gins be­tween three stel­lar games in a se­ries. Thanks for join­ing me on this jour­ney through gam­ing his­to­ry. Next time we ven­ture into Up Your Arsenal!